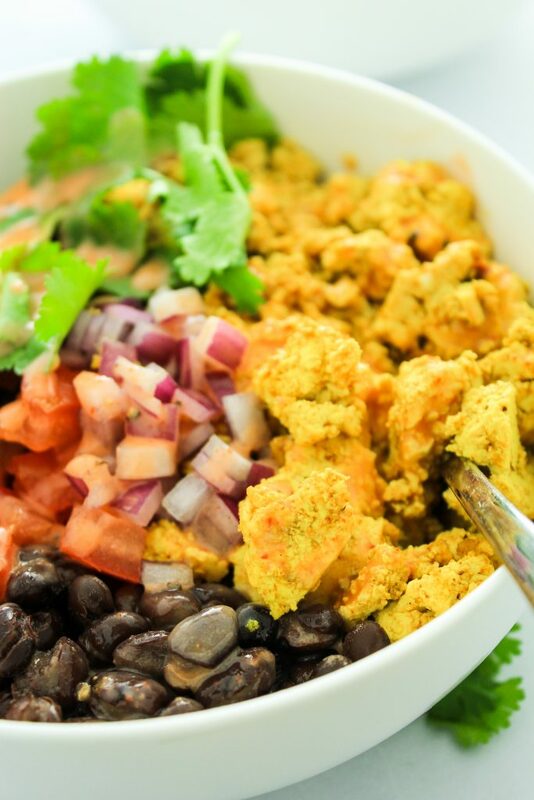 This tofu breakfast bowl recipe packs a flavorful, healthy punch to fuel your mornings. Load the bowls up with toppings of your choice! These are great for meal prep! If you don’t think you like tofu, this recipe is perfect for you. If you’ve never tried tofu, this recipe is perfect for you. If you love tofu, this recipe is perfect for you. 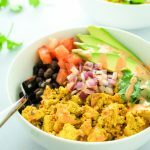 If you can scramble an egg, you can scramble this tofu and make these AMAZING breakfast bowls. It’s as simple as that! This recipe is perfect for all you hard-working, dedicated meal-peppers out there. You can make a big batch of the tofu at the beginning of your week and store it in the fridge to reheat quickly in the morning. Most of the toppings will stay fresh all week long, too. In a small bowl, whisk together yogurt, sriracha, sea salt, and pepper. Drain tofu. Remove as much excess liquid as possible by pressing between paper towels. In a large skillet, heat oil to medium and add the block of tofu. Use a spoon or spatula to “chop” the tofu. Add seasonings and continue “chopping” and stirring until all of the tofu is seasoned. Continue cooking for 8-10 minutes, until all of the tofu is hot. 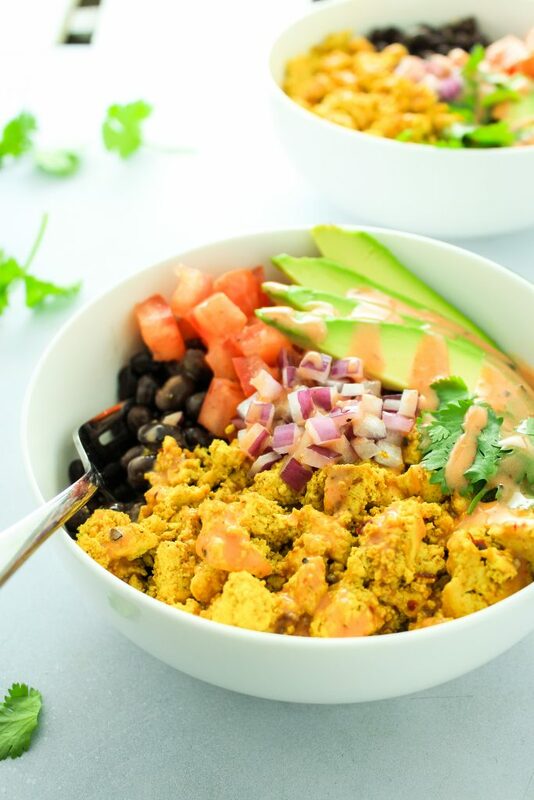 Scoop the scrambled tofu into bowls and top with your favorite things! 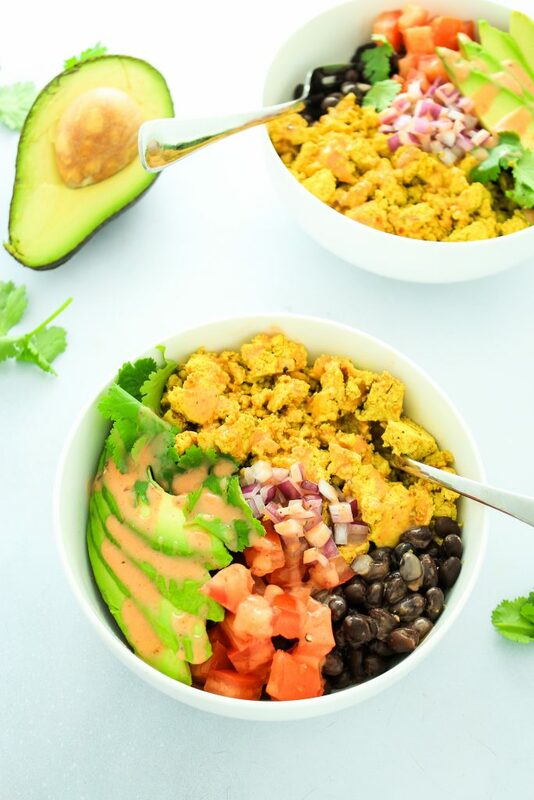 Q.1Is the Nutrions only for the scrambled tofu or is it also for the topping including the avocado ? 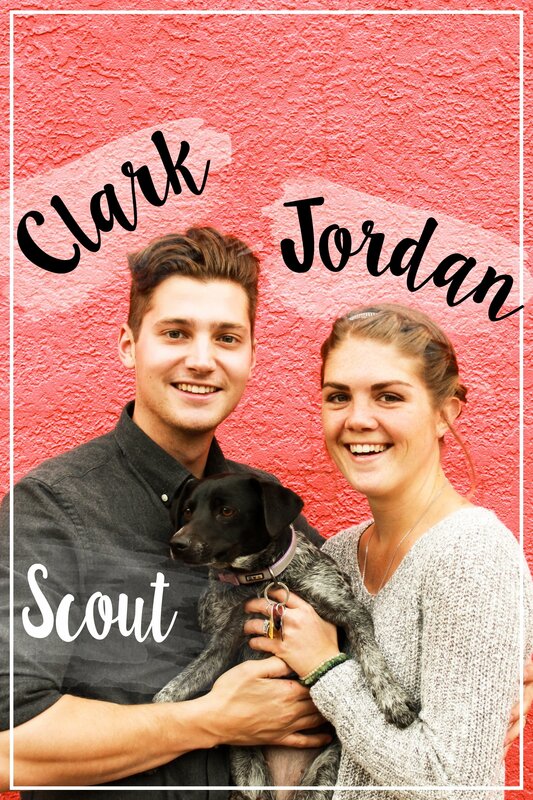 Thank you so much for this site ! It really helps me a lot !